The oil and gas industry is a highly competitive sector in a constant growth and development of safer, cleaner and cheaper technologies. Valves are one of the crucial components in oil and gas extraction and therefore a special attention should be paid to their quality manufacturing. The valve body contains all internal parts and is closed by the valve bonnet, screwed into it. The valve bonnet acts as a leak-proof cover and plays an essential role in the faultless valve performance. 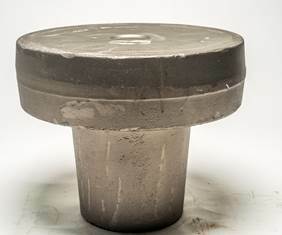 Setforge supplies the oil and gas industry with valve bonnets made of highly resistant materials and manufactured with best forging techniques. Farinia comprehensive experience in material transformation has made the group a trusted partner of a wide range of industries. All our components fulfil the stringent requirements of our diverse international clients.